Extraordinary value in a premium and top quality grill. 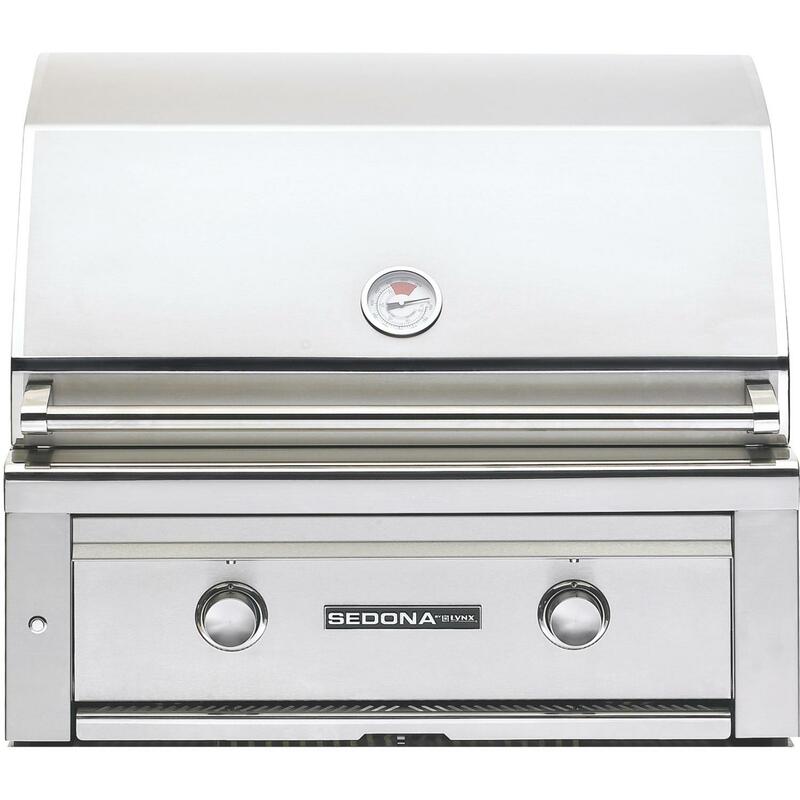 The Sedona by Lynx grill has one ProSear burner and one stainless steel burner for a total of 46,000 BTUs. The ProSear burner sears meat to perfection for mouth-watering steak. Easily light the grill using the electronic ignition with a battery backup. The ceramic briquets over the burners click into place and distribute the heat evenly across the 508 square-inches of main cooking area. The Lynx L500PS-LP propane gas built-in grill is made of 201 stainless steel using welded construction to eliminate gaps where grease and moisture can collect. The fluid rotation handle and hood assist kit help you lift the hood of the grill easily with just a finger. Blue LED control panel lights and internal halogen lights make grilling at night a snap.